During our growing years, we Indians are exposed to a lot of rural folk as well as urban street music. It is noticed that the amorphous nature of music has given rise to an unique amalgam of folk music and popular cinema sounds, being performed by musicians on stages and arenas, depicting the cultural experience of urban life and the streets. One can easily relate street music with the multi-dimensions of street culture. There is an evident cross fertilisation between the two musical forms, with both taking from, and responding to the other. The Indian film music industry has a strong influence on popular Indian culture and while it has shaped public preferences, it has also borrowed from classical music forms. One common belief about street musicians is of them being too lazy to get a ‘real‘ job, harassing people on the streets with ‘inferior‘ or ‘crude‘ acts to solicit money to support a degenerate lifestyle. This perception is not confined to this part of the world only. Street music is perceived as a ‘lesser‘ performing art, an illegitimate musical form. However, it continues to endure this viewpoint, surviving elitist ideas of ‘high‘ art. Moreover, street music is being increasingly absorbed into mainstream musical forms but without recognition. Lack of recognition of this art form, deprive the artists of social and economic benefits that are rightfully theirs. The homespun, creative and intelligent construction of musical instruments made by the artists themselves, mirror the many dimensions of the artist. Streets and their culture lie at the heart of public life in contemporary India, especially in cities where urban housing is crowded and uncomfortable. Its streets act as thoroughfares, bazaars, theatres and most of all, a setting whose culture is constantly changing and evolving with time. 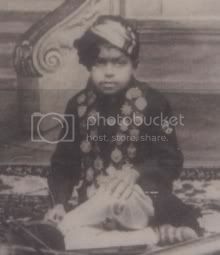 Master Madan (1927-1942), a child prodigy (not to be confused with music composer Madan Mohan), died at the young age of 14 years, sang only a few songs which are everlasting and embedded in perfection. During his lifetime he recorded only 8 songs. Of these, only two Ghazals are available publicly. These are the famous,‘Yun Naa Rah Rah Ke Hame Tarsaiye’* and, ‘Hairat Se Tak Raha Hai’*. The other six songs are very rarely found, and of great archival value. In this post I present to you, all the 8 songs ever recorded by him. Master Madan was born on December 28, 1927, in Khanna, a village in Jalandhar district of Punjab. He sang in public for the first time when he was three and a half years old, in a rally arranged by Dharampur Sanatorium. The audience was understandably spell bound. He was given many gold medals right there and then. After that he and his elder brother toured all over India and collected many prizes from the rulers of many princely states. They sang in the famous Harvallabh Mela of Jalandhar city and later in Shimla. Reportedly, in the Shimla Sammelan, many notable singers had also come, but thousands were eager to listen to Master Madan only. At the age of eight, he was a famous radio singer, singing mainly on Delhi radio station on Alipur road. His final public program took place in Calcutta at age 14. He sang, ‘Vinati Suno Mori Avadhpur Ke Basiya’ for 90 minutes with such beauty that the public refused to go home. One patron respectfully offered Rs. 500, a princely sum in those days, on his feet. Also 9 gold medals were announced by various patrons to be given to him. In those days, gold medals were really made of gold. He returned to Delhi and kept going to the Delhi radio station for about 3-4 months. Soon he started getting sick. Many remedies were tried but nothing helped. In the summer of 1942, he went to Shimla, where his forehead, and joints started to shine unusually. He died on June 5, 1942 suffering a great deal of pain. It was suspected that he died of mercury poisoning. It is believed that a jealous singer gave him mercury in his milk. On his death, Shimla closed down and a huge gathering accompanied him on his last journey. 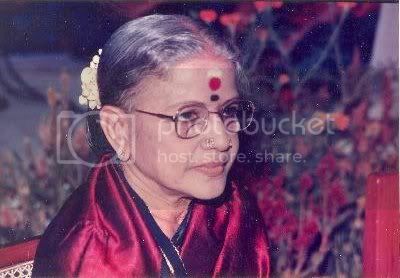 Madurai Shanmukhavadivu Subbulakshmi (1916-2004) has been the queen of Indian classical music in the South Indian Classical style (Carnatic) in the modern times. From Mahatma Gandhi to the most common of the people have admired her voice, conditioned perfectly to render some of the great Indian works of devotional literature. Her ‘Suprabhatam‘ is like staple music in temples all over south India. With her rock-solid technique, sure tone, deep spirituality and splendid emotional expression, M S Subbulakshmi was rightfully considered an Indian national treasure during her lifetime. Thanks to a legion of great recordings, her place among the great vocalists of the 20th century is assured. She was born in 1916 in the temple city of Madurai, Tamil Nadu, to a family of famous instrumentalists. While still quite young, she began Carnatic musical training with Madurai Srinivasa Iyer and briefly studied Hindustani music from Pandit Naryan Rao Vyas. She debuted as a soloist at 17, and with the full support of her husband Thiagarajan Sadavisam (whom she married in 1940), she began acting and performing in films. Her most famous film was 1945’s Meera, in which she portrayed the revered medieval poet-saint Meerabai and sang several popular Meera bhajans (Hindu devotional songs attributed to Meerabai). After the huge success of Meera, however, Subbulakshmi turned her career entirely away from films. While she was an extremely popular performer throughout India, she did not appear abroad as often as other Indian artists of similar renown. However, she did appear at New York‘s Carnegie Hall in 1977 and at London‘s Royal Albert Hall in 1982, among other high profile venues. An intensely devout person, Subbulakshmi specialized in singing kritis (religious songs) and such religious hymns as the Bhajagovindam, a series of praises for the lord Krishna written by the Sankaracharya, and the Sri Vishnu Sahasranamam (a recitation of the 1000 names of the lord Vishnu). Among her many awards were the Padma Bhushan in 1954 and the Sangeetha Kalanidhi in 1968, she was the first female artist to be awarded the latter title. 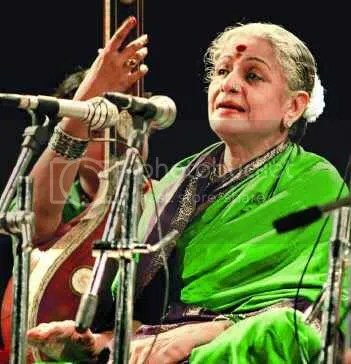 Subbulakshmi was also named the Bharat Ratna (‘Jewel of India’, India’s highest civilian award) in 1998 by the president of India. After her husband’s death in 1997, Subbulakshmi withdrew from performing, and passed away in 2004. Until a few days ago if someone told me there was this singer called Jai Uttal, I would have shrugged it off. But today I am enchanted by this american man whose voice has enthralled me during the past few days. 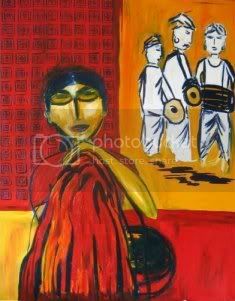 I have listened to many of these american singers and preachers who have devoted most of their lives singing Hindu hymns and chants and have made a name for themselves in this special branch of hindustani classical music popularly known as bhajan, kirtan (or keertan) or chant as it is popularly known worldwide. Krishna Das (not to be confused with Krishna Prema Das) is a well known name. Others are Bhagavan Das and Ram Dass to name a few. Some female voices are also known in India like Deva Premal and Jaya Lakshmi. Most of them are americans by birth (one of them is Irish as far as I remember) and all of them have made singing and teaching Hindu practices and Yoga as their profession. Most of them are also composing and singing ‘Yoga Music‘ (as they call it) with the recent spurt in the popularity of Yoga worldwide notwithstanding. But Jai Uttal is a little different from the other singers I have mentioned. He is Indian to the soul. 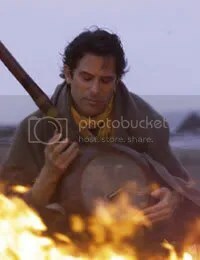 Whereas other singers still retain their ‘foreign’ (or american) accent in their singing and inadvertently sound similar to ISKCON chanters, Jai Uttal sounds perfectly Indian. In fact due to his Indian sounding name and total sub continent accent I mistook him to be an Indian. Moreover his is a ‘classically-trained-sounding’ voice. Incidently all the above mentioned male singers including Jai Uttal are known to be the disciples of Neem Karoli Baba, a revered saintly figure belonging to Akbarpur, Firozabad a town near Agra in India. Jai Uttal has played Motown songs in cover bands and busked for change on the streets. Both of those experiences have stood him in good stead for his musical career, which finds his music straddling the divide between world and new age. Born in New York City in 1952, Uttal grew up in the music business – his father worked for a record label – and at the age of seven he began piano lessons. Those were followed by banjo, guitar, and harmonica as Uttal began to discover American roots music, most especially the old-time banjo picking of Appalachian musician Roscoe Holcomb. His obsession became so great that at the age of 19 he headed for the West Coast, to study sarod and voice with the legendary Ali Akbar Khan. Eighteen months after that he traveled even further – to India itself, to experience the music and the culture first-hand. 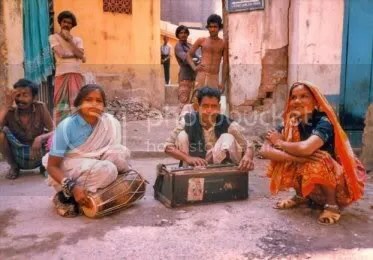 Renting a house in the Bengal city of Bhopur for $15 a month, he came to know singing street musicians the Bauls of Bengal, and started playing and traveling with them. On his return to the U.S., he became more diligent in his study of Indian music, while supporting himself by playing guitar in bands whose material ranged from Motown covers to punk to blues. His break came in 1991 when Triloka released his debut, Footprints, which included an appearance by jazz and world music innovator Don Cherry. With his band, the Pagan Love Orchestra, Uttal continued to mine spiritual, Indian-inflected music two years later on Monkey, which hit the Top Ten on the world music charts. Uttal also found himself producing his mentor, Ali Akbar Khan, for two records, Journey and Garden of Dreams, which found the maestro working with a Western orchestra for the first time. Uttal’s next release, 1994’s Beggars and Saints was his tribute to the Bauls of Bengal, in thanks for his formative time in Bhopur. Three years later came Shiva Station, which was mixed by innovative producer Bill Laswell. After that he concentrated on touring with his band rather than recording. A compilation of his four Triloka albums appeared as Spirit Room in July 2000, shortly before the self-released Live Kirtan and Pagan Remixes, which, along with remixes of three Pagan Love Orchestra tracks, was comprised of chanting by Uttal recorded live in a yoga studio. It was followed by another remix EP, Guru Brahma/Malkouns, which included two cuts mixed by Asian Underground star Talvin Singh. I came to know Kabir Altaf accidently. 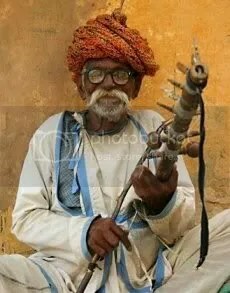 I was searching for the present state of hindustani classical music in Pakistan on the internet and I found a few sound clips. When I first heard Kabir sing a Meera bhajan Badal Dekh Daree, I imagined him to be an old and seasoned singer of the past era. But how wrong I was. A few days after I uploaded these sound clips on my Hindustani.Classical.Music folder at eSnips, I received a message from Kabir himself telling me how happy he was to find those clips on the internet. He is a mere 21 years of age and a student in the U.S. and he is still learning classical music. I was quite taken aback at knowing about his young age and such maturity in his voice. Only one other singer I know, has such a voice quality at an young age, who also had surprised me earlier. That is Moumita Mitra about whom I have written earlier. Kabir Altaf was born in Karachi, Pakistan on February 3, 1986. At the age of 6, he moved with his family to the United States, where he grew up. 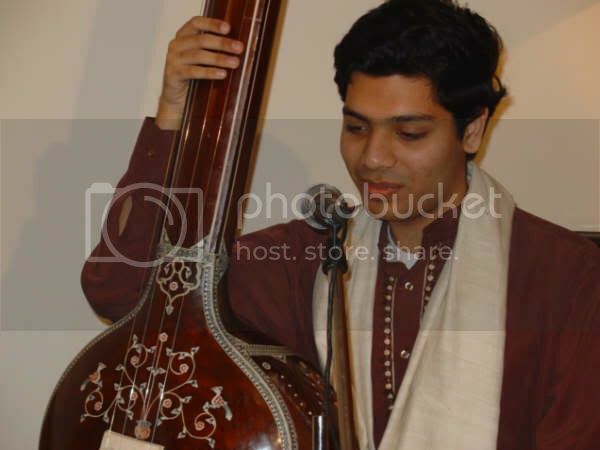 Kabir has been learning Hindustani Classical Vocal from Ustad Hamid Hossain (based in Baltimore, Maryland) ever since he was ten years old. He has won several prizes at the Annual Indian Music and Dance Competition hosted by the Academy of Indian Music and Fine Arts and the University of Maryland-Baltimore County. Kabir is currently a student at The George Washington University in Washington DC, where he is majoring in Music (Western Classical Vocal) and Dramatic Literature. He hopes to have a career that revolves around the performing arts, either as a professional musician or in arts-management.